Global Herbs Skratch Syrup is a weaker concentration of the highly effective Skratch supplement that's ideal for fussy feeders as it is more palatable. Global Herbs Skratch soothes skin itching during the spring and summer, helping to make your horse's mane, tail and skin more comfortable. Skratch also helps to repel flies and midges so does not need to be fed alongside FlyFree. 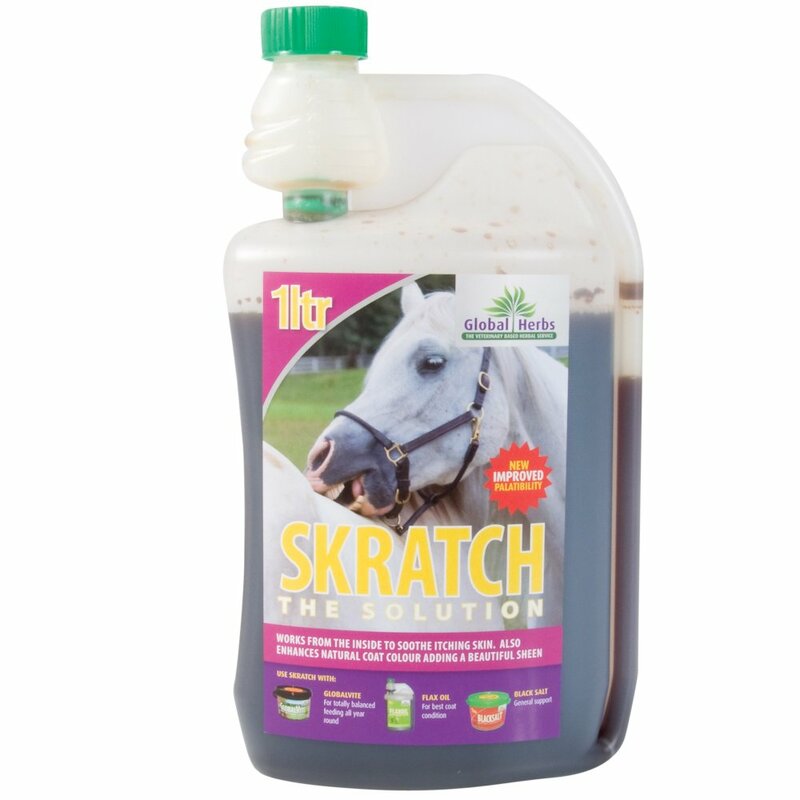 Global Herbs Skratch Syrup is a popular liquid for horses and ponies that require a gentle yet soothing product.